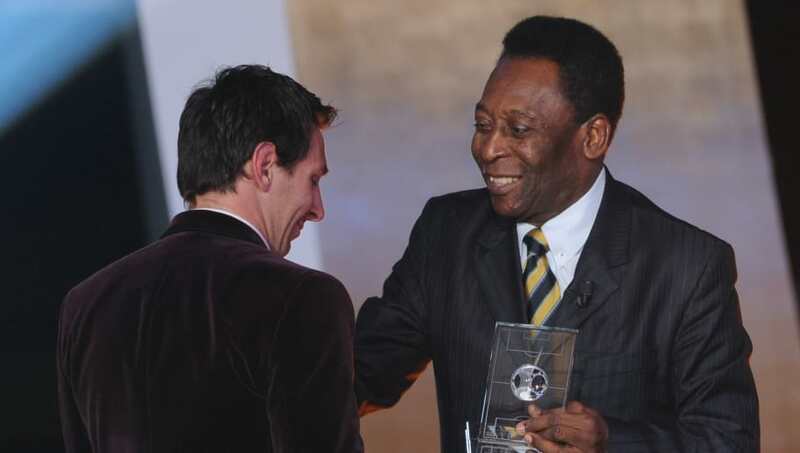 ​Legendary Brazilian forward Pele has launched a strangely specific attack on Barcelona forward Lionel Messi, and claims he can't be compared with the Argentine as Messi is one-footed and can't head the ball. The 78-year-old has long been considered one of the greatest to ever play the game, and thus his words naturally carry great weight in the footballing world. So, the stark nature of his attack on the five-time Ballon d'Or winner has come as a bit of a surprise. Speaking to Brazilian publication Folha de Sao Paulo, as quoted by the ​Mirror, the former striker indignantly proclaimed: “How can you make a comparison between a guy who heads the ball well, shoots with the left, shoots with the right and another who only shoots with one leg, only has one skill and doesn’t head the ball well? However, the Selecao star has previously declared his belief that compatriot Neymar is a better player than both ​Messi and ​Cristiano Ronaldo, and he duly affirmed: "If you look around the world, the ones who stand out are Messi, Ronaldo and ​Neymar. There are no other superstars. "Neymar is ready. The important thing is for the national team to be well organised as a group because they no longer have three or four top players for each position." The Paris Saint-Germain star has recently made waves of his own in the football world, when, in a YouTube Q&A on his platform, he was asked about coming to England by Benjamin Mendy. As quoted by the ​Mirror once more, he responded by cryptically declaring: "It's a big competition. One of the greatest in the world. We don't know how tomorrow will be, but I believe that every great player, at least one day, has to play in the Premier League. "If you're playing there, then I hope you can keep enjoying the ​Premier League, because you deserve only the best! Hugs! Thanks!"